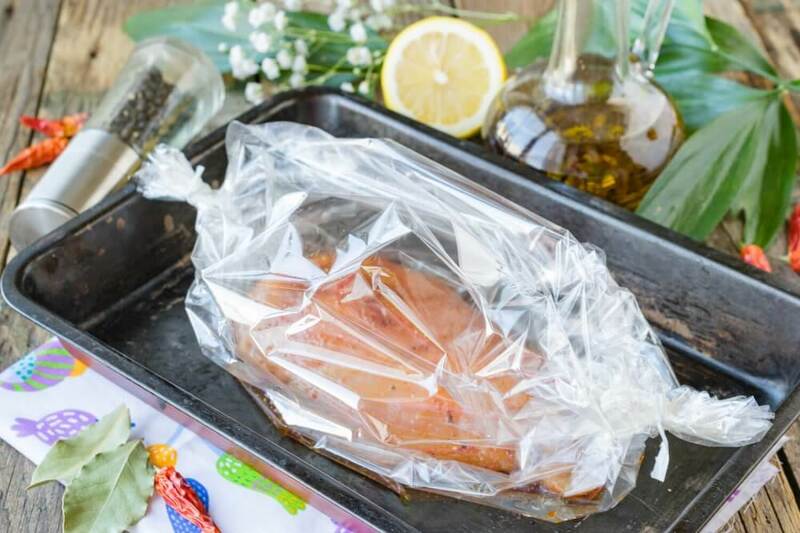 The spicy chicken fillet baked in an oven bag is perfectly suitable for preparation of various salads, sandwiches or canapes. The meat made in such way turns out very tasty and juicy, with an appetizing ruddy crust. 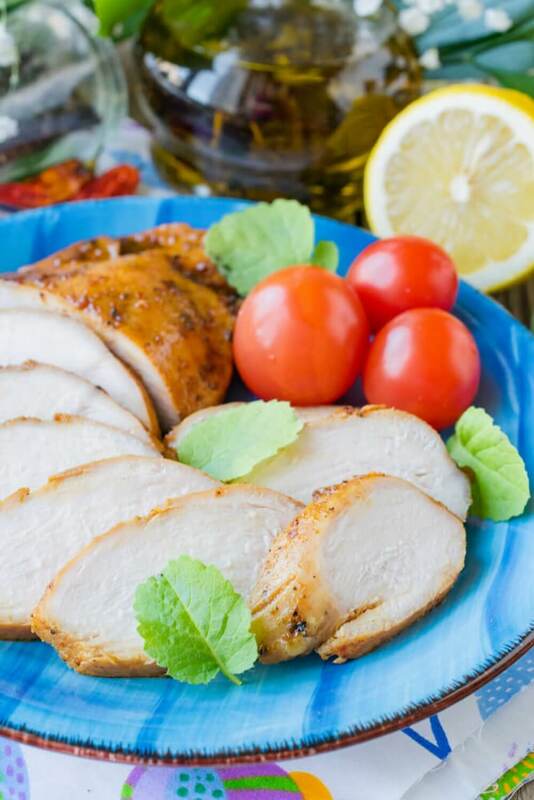 Correctly selected seasonings give special taste and aroma to chicken breast. In addition to paprika, dried garlic, basil, ground nutmeg, coriander, ginger and allspice will perfectly approach to poultry. 1. Wash and dry with paper tissues chicken fillet. Clean meat from foams and fat. Mix fine salt and a half of ground seasonings. Grate chicken breast all over with received mixture. 2. 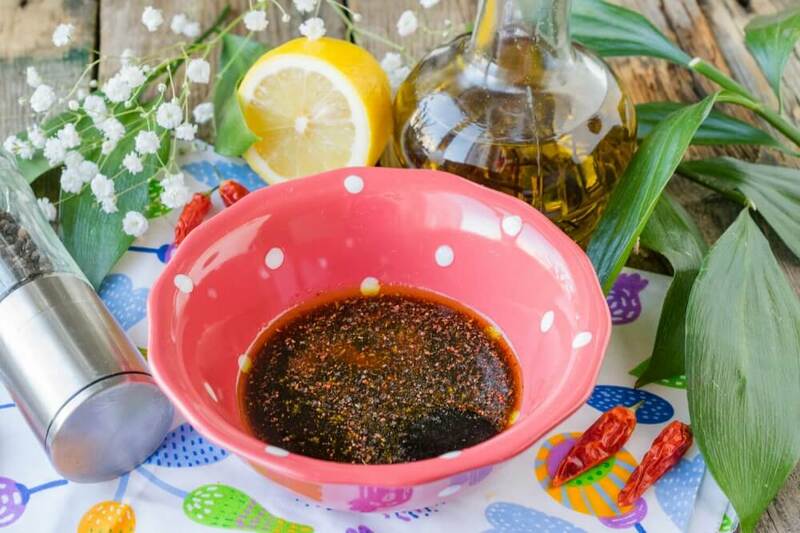 For marinade combine soy sauce, olive oil and lemon juice in a deep bowl. Add the rest of ground seasonings. Mix marinade to homogeneous consistence. 3. 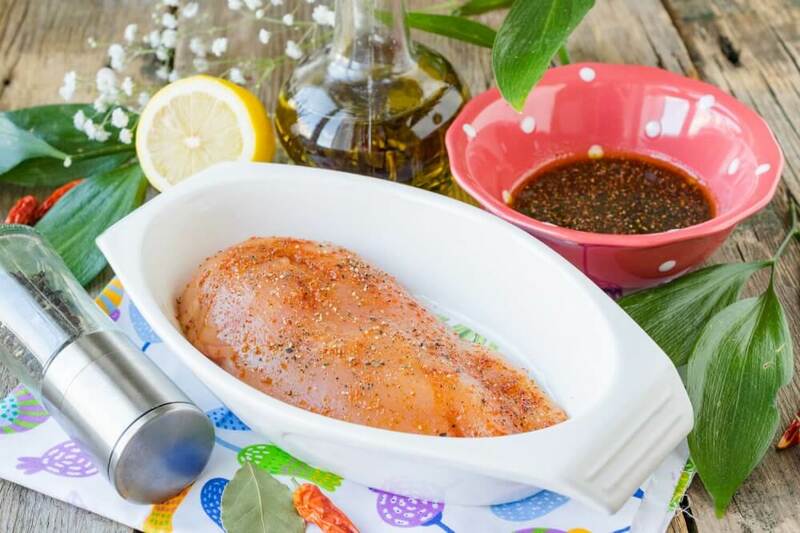 Shift chicken breast in deep ware and water it with ready-made marinade. Leave meat at least for 30 minutes so that it becomes impregnated with aromas of seasonings. 4. Then shift chicken breast in an oven bag. For aroma, add bay leaf to a bag. Thoroughly tie a culinary bag, by means of toothpick make several openings for steam-out. 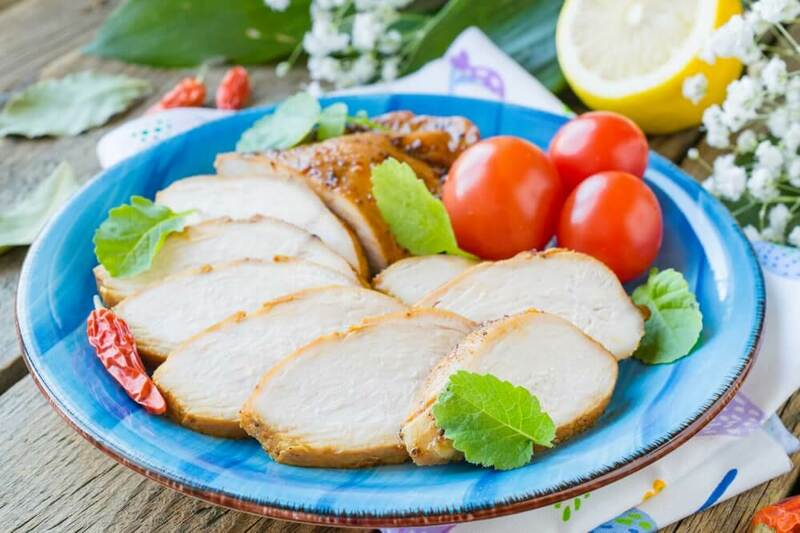 For convenience, transfer chicken fillet in a heat resisting ware or on a metal baking sheet. 5. 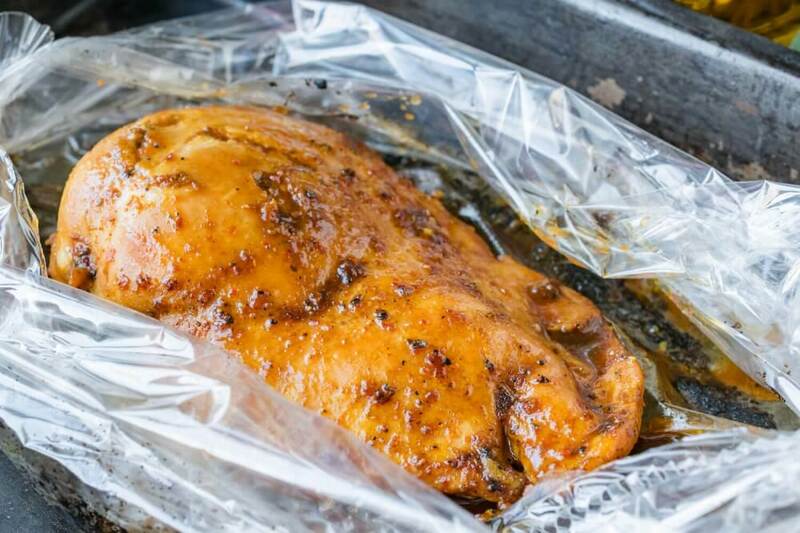 Send chicken breast in a bag to the oven warmed up to 190 degrees. Bake meat at the medium level for 15-20 minutes. When chicken fillet in an oven bag is reddened, accurately get it from an oven. Carefully cut an oven bag, water meat with the remained marinade. 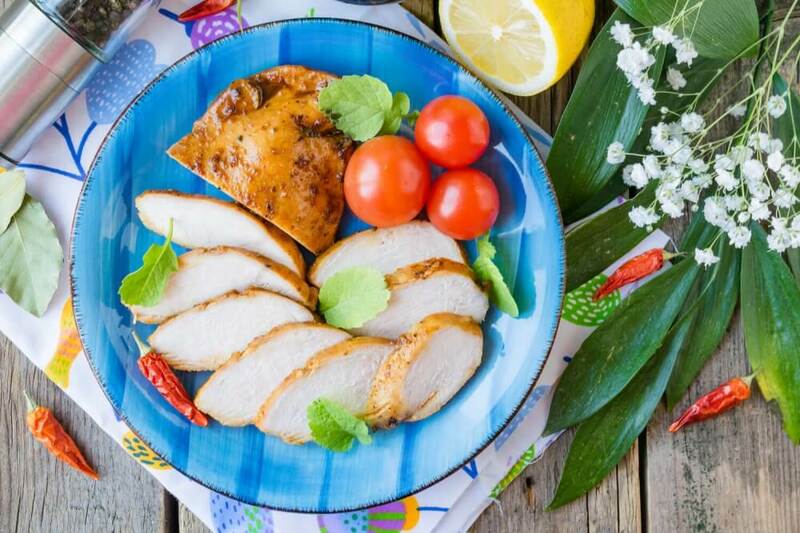 Return chicken fillet to an oven for 5-7 minutes so that the appetizing golden crust is formed at the top. 6. 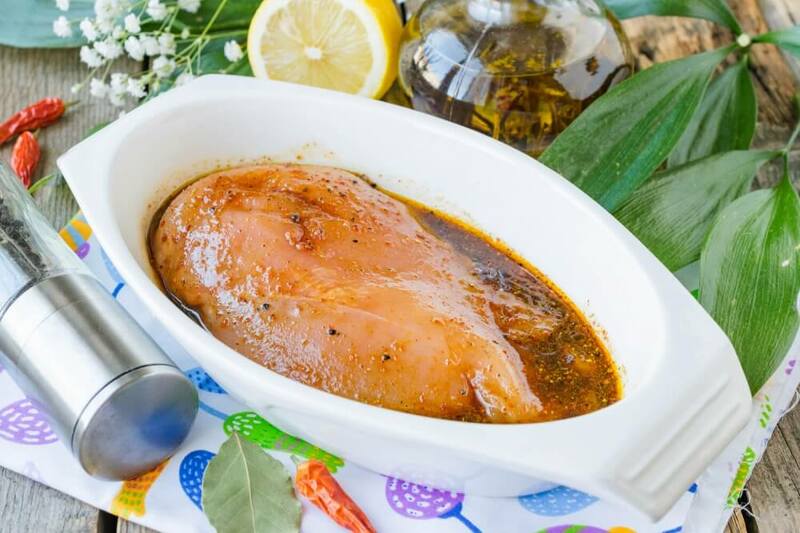 The fragrant chicken fillet baked in an oven bag is ready. It can be served in hot or cooled-down look, cut into thin slices.